I sent this recipe to my taller half when he was out ideas for soup last week. It’s a really quick recipe that’s easily doable on a weeknight. We altered the recipe a little bit by substituting the chervil with flat leaf parsley and adding in some crispy fried croutons at the end made from our home made bacon. 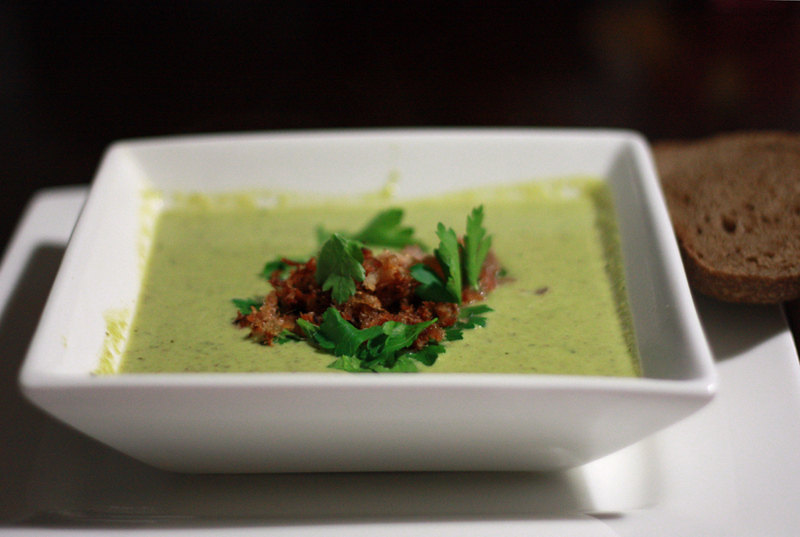 The salty smokey bacon contrasted with the lovely sweet pea soup beautifully. Wait – did you say “home made bacon”? Sounds awesome – what’s the story behind that? Is it something mere mortals could accomplish?